Walk right? This expert says 90% of Americans don't. Do you? As a former gymnast, speech therapist, specialist in myofascial release and certified Restorative Exercise Specialist I have a lifetime of first-hand experience of health and injury in my body and in my patients. My tireless pursuit for solutions to injury and chronic pain lead me to discover how we unknowingly diminish our health step by step with the way we walk. For this reason, I write. So many are suffering from common “diseases of aging” who don’t need to. If you listen to the advice of those whose profession it is to fix health problems, you might believe that bunions, hammertoes, sciatica, joint pain, lung disease, high blood pressure, neuropathy in your limbs, limited mobility, hip replacement, knee replacement, plantar fasciitis, a walker, and a scooter are normal and inevitable. They might even advise you to plan for these things by insuring yourself with good coverage and a comprehensive prescription plan. Feeling nice and depressed now? Here’s the good news: these wounds are, in fact, primarily self-inflicted. How is that the good news, you ask? Because if you are doing it, you can stop doing it. There is no one to blame. Simply wake up to the easy-to-understand ways in which walking creates these problems, then make the simple changes that will feed your tissues and stop the progression. Let me enumerate these points, and cheer you up again with how simple they are and how much sense they make. Beginning with the foundation of it all, we will address your precious feet. How would they respond if I invited them to undress? With relief, or embarrassment and apology? Have they been told they’re ugly, and that their ugliness is hereditary? Have they been labelled as “bad”? I would love to help you “heel” your relationship with your feet by showing you the 3 biggest mistakes you make when you walk. 3. We walk around (even with minimal shoes or bare feet) on unyielding flat surfaces. This doesn’t allow your heels to sink lower than your toes. If you look at a footprint in the sand, you see that the heel sinks deeper than the toes. We evolved walking barefoot or with minimal shoes on grass, sand and dirt that allowed our heels to sink lower than our toes. This brings our weight into our heels, wakes up the chain of muscles on the back side of our body and brings our hips into neutral balance. Result: Your alignment is thrown off because your hips are in front of your ankles and your body weight is shearing forward. This subtle shift affects the weight distribution of your whole body. It’s your toes that take a big hit. They bear the extra weight, and curl to keep you from falling forward. This contributes to the development of hammertoes, when the connective tissue turns to bone and the toes can’t flatten out anymore. But the rest of your body suffers as well, because your heels can’t sink lower than your toes the way they would in grass or sand or dirt. This misalignment causes strain on your plantar fascia and causes you to bend your knees and tuck your tailbone for balance, resulting in a further burden for your knees and the effects known as pelvic floor disorder (problems with digestion, pooping, peeing, and sexual function). If you doubt this, notice how large the adult diaper section in the grocery store has grown. 2. In addition to that, we wear shoes that have an elevated heel (even as little as 1/4 inch) and an inflexible sole. Most shoes (from the manufacturers’ mistaken notion that they’re providing extra cushioning for your heel) tip your heel up and tilt your toes down. Just imagine what effect high-heel shoes have on your skeletal alignment and your overstretched soft tissues? Result: Shortened Achilles tendons, calves, and hamstrings. Shortened stride length (i.e. reduced hip movement and poor lymph flow), bent knees (i.e torn tendons and ligaments), low back strain(i.e. bulging and degenerating discs), bunions, and hammertoes. Narrow-toed shoes bunch the toes together. Result: The toes adapt and overlap as they lose sensitivity, flexibility, and blood flow. Shoes with inflexible soles create a barrier between your sensitive feet and the feel of the ground. Result: Your feet can’t grip and flex.Your feet are meant to carry messages about the varying terrain to your hips for micro-adjustments. But your feet lose sensitivity, flexibility, and circulation. Shoes also create a moist environment in which fungus and bacteria can grow. But that’s not even the worse thing we do! This one is totally mind-blowing because it is so obvious and so easy to fix. It isn’t caused by a sports injury, an accident, bad nutrition, genetic predisposition, or smoking. If you learn what this is and fix it, you will dramatically reduce your chances of needing diapers, knee replacement, hip replacement or ending up in a wheelchair. 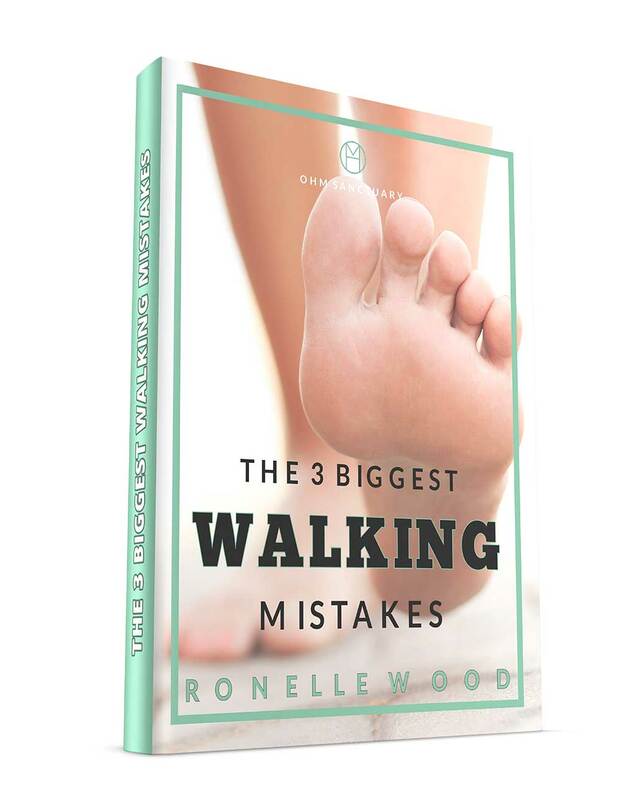 To find out what the biggest mistake we make when we walk is, download this FREE eBook “The 3 Biggest Walking Mistakes” . In this eBook, I'll cover the most common way we destroy our feet when we walk, PLUS 4 things you can do right now that can save your feet for good! Great! Check your email for the download link. 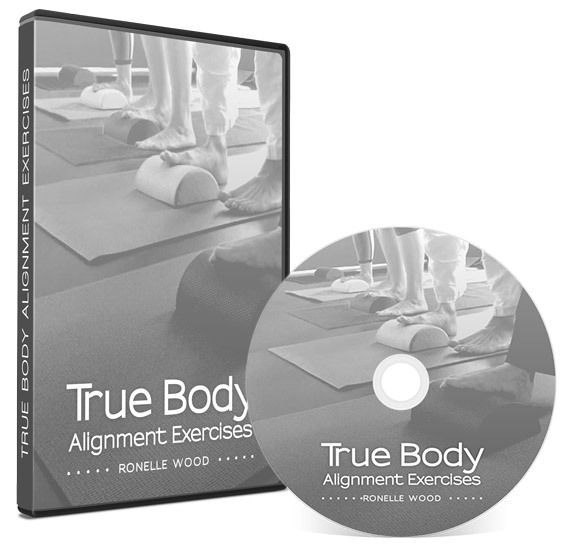 These videos contain clear illustrations and explanations of why proper alignment is key to good health.